Last year, we had Life Coach Julie Morris share about “Learning New Hobbies at any stage of your life”. Click here for that article. Today, she shares with us the benefits of music in relation to ADHD. Parents of children with attention deficit hyperactivity disorder (ADHD) are always looking for new ways to help their child, and their efforts are often met with frustration and dead ends. Many parents are wary of relying too heavily on medication, and thus want to find natural, safe, holistic methods to help their children focus and succeed. While there is no blanket solution for ADHD, there is growing evidence that music therapy can be of great benefit. According to the American Music Therapy Association, music therapy is a practice in which “music is used within a therapeutic relationship to address physical, emotional, cognitive, and social needs of individuals.” One does not have to be a skilled musician to benefit from music therapy, and it can encompass listening to, performing, or even composing music. Why is music therapy increasingly being used as a treatment strategy for children with ADHD? One theory is that it may have to do with the structure music provides, which enhances one’s executive functioning. ADHD is, in essence, an inability to focus and lack of structure. Music is all about structure, cohesiveness, and the ability for many parts to work together as a whole. The subtle introduction of music into the activities of kids with ADHD can help to improve multitasking. Psychology Today has another thought on why music therapy is so helpful to those with ADHD, and it’s backed up by a lot of science. ADHD is characterized by a lack of dopamine in the brain. Stimulants are often prescribed to those with ADHD, because they spike dopamine levels. Dopamine is crucial to the brain’s ability to work on a synapse level. You may see where this is going … music is proven to cause the release of dopamine in the brain. Thus, it’s a natural way to achieve similar results to prescription medication. Regardless of you musical knowledge, start experimenting with using music to help your child focus and calm down. There is no perfect music therapy method. Every child is different. You should try a combination of listening to music, singing, and even composition or writing lyrics. See what works for your child. The jury is still out on the best type of music for ADHD music therapy, as it kind of depends on what you’re trying to accomplish. Experiment with your child and see what promotes the desired effect. A good place to start is with some wordless, rhythm-heavy pieces. Try these classical masterpieces. Unfortunately, you can’t solve everything with music (as nice as that would be). Music needs to be used as therapy in a therapeutic environment. You must create a safe, calm, and organized home environment before you begin to experiment with music therapy. “Children with ADHD often function better when their environments are conducive to learning. Maintaining a neat, orderly home, implementing routines and systems, and teaching your child the skills she needs to stay organized and on-task will help her cope more readily with the demands she faces at school and at home on a day-to-day basis,” according to HomeAdvisor. At the moment, I am currently working on a project with a very talented pianist Miss Gillian Hu. In our collaborative efforts of interpreting the Brahms Sonatas for Violin and Piano, we have been practicing regularly together. It is unmistakably important to have chemistry with whom you choose to play with and I am privileged to share an alike passion with her to deliver our best performances each time. This journey has been so rewarding thus far: sharing ideas together, striking just the correct balance to achieve what we feel Brahms would have wanted, and just making music together for a change from playing a completely solo unaccompanied piece. 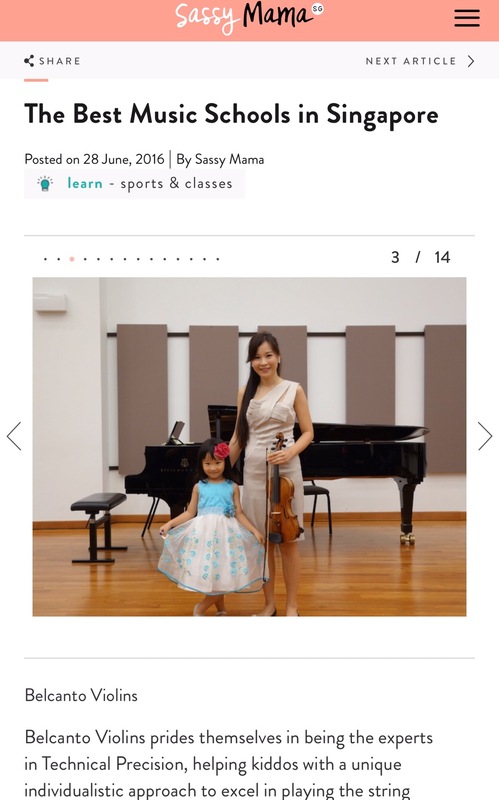 On this note, as unaccompanied pieces are rare on the violin (aside from the more frequently played unaccompanied pieces like the Bach Sonatas and Partitas for Solo Violin and Ysaye’s Sonatas for Violin Solo), I am very happy to host Guest Blogger Austin from Consordini Musical Instruments to give us some important insightful information and tips to play with an Accompanist. This will be a very helpful read for anyone who has an examination (as most examinations require an accompanist), or anyone participating in a competition or for any reason or event to have to present your piece. These will be good pointers for sure. Playing the violin is fun, but it’s even better and exciting when you are playing with other musicians or when you are accompanied by a pianist. It might be difficult especially if you are a beginner because it requires specific skills and techniques to play as one. Playing in tempo with an accompaniment requires your brain to focus on the music. You can try to practice by playing with a metronome alone so that you can master the timing. Then, you can record yourself and listen after. In short, learn your part ahead of time. It might be boring but lots of practice time can help you get your part and your partner’s part perfectly synced. Once you are sure that you can play the music in the right tempo, you can practice together. It might be confusing at first to read sheet music with two parts (yours and your accompaniment), but it is recommended that you play along as a duet. This can be the same as setting the tempo. But it is better to dedicate a separate pointer because counting is the key to playing with accompaniment. Some opt to use a metronome, but you may count off quietly as you wish. You can start both in slow tempo until you are both ready to gradually speed up. Remember, it is vital that you both count in harmony and play together than just follow the written tempo on the music sheet. One of the major pitfalls of playing the violin with a piano accompanist is that both musicians do not understand the music thoroughly. The key to playing well together is to study the piece individually and get together to discuss things like character, style, and features of the piece that you both want to bring out. You should also discuss who should play what part or when to enter and not, as well as if there are ‘echo’ phrases you want to show. Talk about how you would like to deal with any tempo changes and cues that both of you should listen to. It will require a couple of practice sessions, but it could be worth the effort. Practice is an essential tool to maximize the impact of training. After all, the only way to master a skill is to practice. 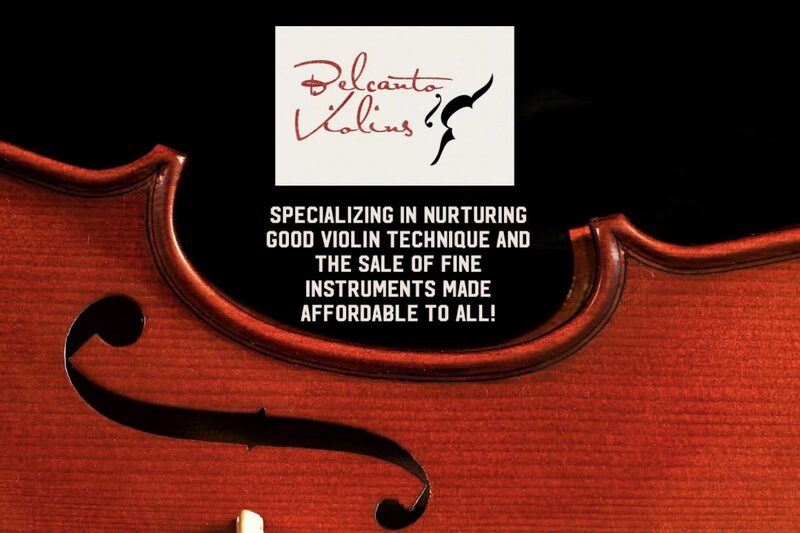 It is the only way to get better and is the building block of expanding, developing, and maintaining skills in violin playing. The hardest part of playing with accompaniment is getting used to another person playing a different part. Practice and train your ear to adjust. If you can’t, it might be useful to ignore his/her part and focus on counting with a metronome. Just be sure to play the same tempo as your partner. Focus one line at a time before going on to the next. Play the song line per line together. When playing with a piano accompanist, it is often useful to let the accompanist play the melody once in a while. The alternating melodic material between the piano and the violin creates musical variety and texture. There’s nothing worse than having a fantastic performance and then falling apart at the end because you and your accompanist never decided on an ending! How the piece ends is just as important as how you commenced. If you want to get creative, you can arrange your own ending or have your partner finish with a chord accompaniment pattern. Playing in a duet is an artistic endeavor, so no matter what the piece is, try to play musically. It might sound weird, but not all musician plays and performs artistically. Music is not just about following and doing what the notes say; it is about expressing and making music touch everyone’s lives. Of all the tips listed above, with regards to playing the violin with piano accompaniment, three main points should be of utmost priority – time, tone, and tune. All of these three are to be regarded. Playing in perfect timing seems to be the most challenging skill to harness when playing the violin with piano accompaniment. It is of course, very challenging for the accompanist if the violinist keeps awful timing. But it must be remembered that the violinist must be the leader, just as a singer should lead when singing with piano accompaniment. If the violinist makes a mistake, the pianist should help and try to cover it. Playing with accompaniment is a complicated matter, and it is not sufficient to be just a good musician. To facilitate correct timing, some of the tips mentioned above should be done such as practicing individually and as a group, setting a congruent tempo, and continuous practice. In playing with piano accompaniment, there should be congruity between the tone of the violin and the piano or any instrument used as accompaniment. Pianos may vary considerably in terms of tone, so much so that a connoisseur can tell the piano maker’s name by just listening to the instrument. The tone of a cheap “beginner” violin may not be as accurate as other expensive and handcrafted violins like Stradivari, Guarneri, or Amati. Indeed, one violin may differ from one violin to another. However, co-existence in sounds and tones can be practiced. The key is to keep practicing together until both of your tones match and blend well together. With regards to tune, there exists a difference between the violin and the piano. A piano’s tune is absolute, relative, and depends on the piano tuner. While on the other hand, the violin’s tune depends on the violinist. To be able to sound good together, the secret is to keep the piano perfectly tuned, and the violin played in perfect tune. Recently, I had the privilege of interviewing for my upcoming book, violist Dr Michael Hall who is an active soloist and currently teaches at Vandercook College of Music. His life story is both unique and captivating with a motto to “Make indispensable yourself as a musician to your community at large”. This led to my inspiration for my students to do something out of the ordinary not just to enjoy their performance in a confined concert setting, but to find others in the community out there to share this love for performance and music with. Typically in a year, my students go through two mandatory annual concerts in a formal recital hall where we would film their performance and I would give them constructive reviews to improve (for some students who enter competitions have more opportunities for this to happen throughout the year), so this rare chance to play at the PassionArts Festival in Ulu Pandan was a good opportunity to put that motto into action. We also got a chance to play for and meet Member of Parliament Chris DeSouza who so graciously took time off his rounds to talk to us. We will definitely be doing more informal stage performances perhaps this time amongst the adult students (Stay tuned!) who are most susceptible to stage frights in our usual concerts, so hopefully these more informal settings and group playing will help them greatly to overcome these fears and become more used to being on a performance platform. Watch their full live performance here. Earlier this year, something terrible happened to me that I nearly lost my life. I haven’t been writing because there have been adjustments that I’ve had to make due to the trauma and had to recover to get my health back. I am still in this process of recovery and although I can now see the light at the end of the tunnel, there is no inspiration to write short articles for now. One of the benefits of living in the digital age is having easy access to online programs that can teach you a fun new skill, no matter where are you in life. You may even be able to learn a skill that gives you a professional boost or allows you to indulge in a creative hobby. Don’t take my word for it? Science proves it’s true! Current research shows that these seven hobbies from Simple Most can alleviate stress. Hobbies can provide therapeutic relief for those dealing with alcohol and/or drug addiction, particularly when used as a creative outlet. Additionally, they can help eliminate boredom, which can often lead to relapse. Learn more about how hobbies can benefit seniors at Fitness Essentials. Hobbies can provide a creative outlet and build your skill set, allowing you to set out on a new career or enterprise. Read more ways they can give you purpose at News Cult. Research shows that hobbies may lower your risk of depression and dementia. Many people also claim they help with reducing both blood pressure and stress. Today, many people struggle to get offline and interact with others. You can learn a hobby online and then use that skill to improve your social skills. Here are five hobbies that can help you socialize from com. Now that we see these benefits, here are some skills that you can learn online. One of the best benefits of dancing is that you can do it in the privacy of your own home (provided you have the space) or in a classroom setting, which can help you socialize. It’s also a great way to get in shape and learn about your own body’s abilities and limits in a healthy way. There are so many mental and emotional health benefits to learning a musical instrument that it’s hard to list them all. Some include improved memory, better reading skills, boosting creativity and staying Discover how learning an instrument after age 50 can benefit you at Sixty And Me. This is a skill everyone can use or improve. Whether you are setting out to learn the basics, want to learn a style of cooking such as gourmet, or are seeking to create old favorites in healthier ways, there are lots of videos that can help guide you. Simply prop up your phone in your kitchen, and you’re ready to go. The next thing you know, you’ll be hosting parties to share with your friends. Check out these seven recommended cooking sites for beginners from Make Use Of. All you need is a smartphone and you can learn photography! Of course, if you have a traditional camera or are in the market for a DSLR, there are many more courses you can take. Photography is not just fun, it’s also a marketable skill. Once you have some skills in place, you can make money by selling photos to stock houses or work with brands to share photos. Learn the basics of photography at ExpertPhotography.com. Hobbies can help improve our physical and mental health, help us to socialize, and even teach us useful and marketable skills. There’s no downside. What hobbies will you choose today?